7 Kids and Us: Kings Hawaiian Products Review and Giveaway! When I was four, my parents went on a vacation to Hawaii and left me for a week with my great grandmother. I remember the day they came home, how excited I was to see them, and I remember all the gifts they brought me. I also remember them handing my great grandmother a package of rolls..and at the time, I didn't know why..but I remember thinking.."food..yum" haha. Flash forward to years later, when my mom and I were shopping at Publix, after moving to FL from OR and my mom teared up when she saw King's Hawaiian Rolls in the deli. I asked her what was wrong, and she said it was the same rolls she brought back to my great grandma so many years ago from Hawaii. She said those were the best rolls she had eaten, like..ever, and that I had to try, and that she was going to make us a special meal with them. At that time, it was just me and my mom, money was tight, and special meals were few and far between, so I knew, this had to be something really good. My mom made a roasted chicken, which she had basted in pineapple juice, cole slaw and she put the chicken and the coleslaw right into the rolls, which she has sliced in half, making them into little buns. Looking back, I think my mom got teary eyed, because she was remembering a time in her life that was gone, a time when money was no object, and when I was little and when my dad was still around. Our life was good, don't get me wrong, but these took her back to another time, that in it's own way, was also good. I know I have some food items that take me back to my youth, and now King's Hawaiian is one of those for me as well. If you haven't tried King's Hawaiian, I definitely suggest you do. My favorite (and the kids too!) is the Savory Butter Rolls, they taste like a croissant in a bun, that's how my boys describe them. 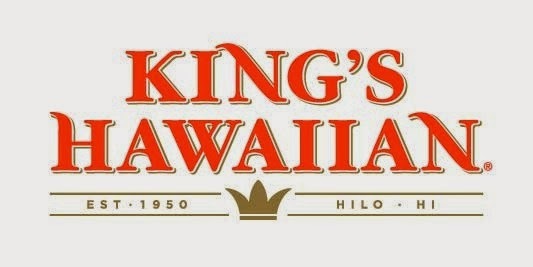 You can purchase King's Hawaiian products in Publix and Walmart. Enter for your chance to WIN 3 FREE King's Hawaiian Product Coupons using the Rafflecopter form below. I love the Original Hawaiian Sweet Rolls and the hamburger buns. I haven't seen the hot dogs buns anywhere yet but I would love to try those too! I love their rolls. Yum! The sweet rolls really are the best! I'd love to try the hot dog buns. I Love The Original Hawaiian Sweet Round Bread! I love the dinner rolls. I especially love them with grilled chicken salad. Is it lunch time yet? I think I would like the Original Hawaiian Sweet rolls and I bet they'd be even better warm with some honey butter! Never had sweet rolls, would love to try them! I would like the Original Hawaiian Sweet Sliced Bread. I would love to try the Original Hawaiian Sweet Hot Dog buns with my hot dogs - sounds delicious! Original Hawaiian Sweet Hot Dog Buns...didn't know they made those...sounds good! We really like the Original Hawaiian Sweet Hamburger Buns. The Original Hawaiian Sweet Round Bread is fantastic carved out and filled with spinach dip too. I like the dinner rolls. I love the hamburger buns! I love the Original Sweet Rolls 24 pack. They never last long and a few never make it to the table. Guilty! I think I would like the Savory Butter 12 Pack Dinner Rolls! They look so delicious! I'd like the Sweet Sliced Bread! Original Hawaii Sweet Rolls are the best!